Whether you’re a freelancer with lots of projects coming ahead or a student planning an adventure to Europe, planners can be great for productivity by keeping you back on track. I’ve tested different productivity systems and applications over time. Making plans far ahead usually doesn’t work as things change at a fast pace. The fact that you are not succeeding at what you’ve set up, leads to more stress. That’s why I really love the Urgent/Important principle. However, planning has its good sides too. Planners can be helpful in a daily routine or when you need to reevaluate some important life goals. For that reason I decided to give a chance to an actual physical planner. I was debating whether I should try bullet journaling or buying myself a planner. Bullet journaling is great for all of you who love DIY projects – because it’s fully customizable. I’m not good at drawing or calligraphy so I decided against it. My previous record with planners wasn’t very admirable as I would lose interest and forgo them in a matter of a week or two. I needed something that would be my motivator and kept me organized. After sifting through available options online I decided to try out Passion Planner. What makes it different than other planners on the market is that it’s very interactive. Passion Planner is, in a way, a low budget life coach. 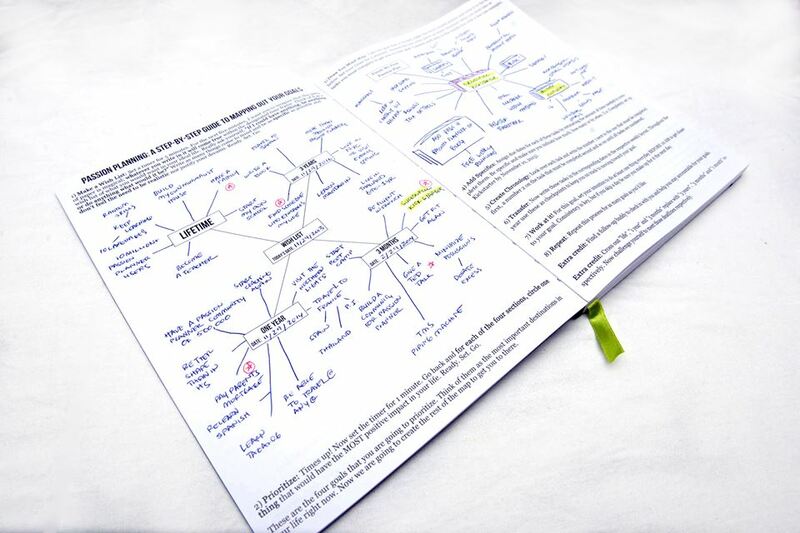 First you start off by drawing up your Passion Roadmap. This is where you can map out what you hope to achieve within the given time frame (3 months, 1 year, 3 years). In general, I only believe in short term plans as they are more efficient and more realistic to achieve than 1 or 3-year plans. Next step is prioritizing; recognizing the goal that is going to have the most positive effect on your life at present moment. Picking a goal, gives us a focus point to pour our energy and effort into. Writing down necessary steps/tasks which we have to complete to get to our goal – makes any goal, no matter how high or implausible it seemed, start to look achievable. Step-by-step or day-by-day system works wonders! 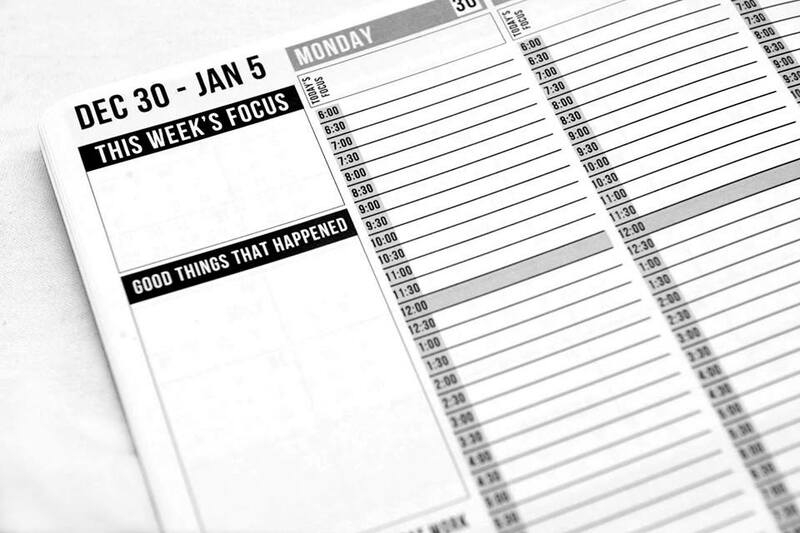 The Passion Planner has an instruction page which delves into the specifics as to creating a timeline, due dates, reviewing your daily/weekly focuses, monthly reflection pages etc. The planner also has smart and creative sections such as the ‘not to-do list’, ‘personal projects’, ‘work projects’, ‘space of infinite possibility’, ‘good things that happened’ and motivational quotes on every page. My favorite section is ‘space of infinite possibility’. It’s true, the opportunities are endless. 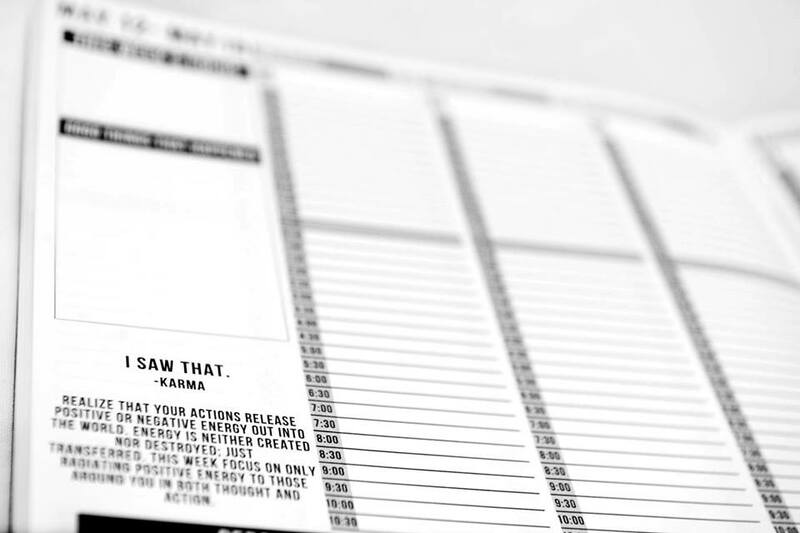 You can use the space as a habit tracker, to tape a finance sheet to keep those online sale shopping sprees in check or write down your grocery list. The planner also has a “Good things that happened” section. It’s funny but a small thing like that can really alter your way of thinking. Any time I feel disappointed that I haven’t accomplished my set goal for the day, I just flip to the monthly calendar page and spend a minute or two, reading up on all the positive things that I’ve accomplished or had happened to me in prior days. On their website I found a page called tips, and I enjoyed and applied some of them to my planner. One of the tips that specifically appealed to me was scrapbooking. In the section ‘infinite space of possibilities’ I like to put up polaroid snaps of some of my ‘mini-triumphs’ or a reminder of a good thing that happened to me that day. The emphasis of the planner is not just on getting all of the boring errands out of the way but to remind us to stay present and truly experience each day. At the end of the year planner can be a great summation of all that you’ve accomplished. A reminder to practice mindfulness and enjoy the small things that are sometimes overlooked. Passion Planner is ideal for travelers too. Maybe you want to discover Europe, start hiking more or start a blog? It can be used by anyone! Whether you’re a freelancer, student, wannabe adventure or a blogger, you’ll find this planner useful. You can order it through the offical website or Amazon.